What is masonry? And why should every homeowner understand this term? While the term “masonry” mainly refers simply to building structures in its simplest definition, there are actually several complex aspects to masonry construction. Generally, what is masonry? Masonry can refer to anything from brickwork to concrete block. Each form of masonry has its own distinct features, benefits, and challenges. Knowing what is masonry will help you make the correct decision regarding your particular renovation job. For example, the unique look and style of brickwork as a throwback to the mid-20th century has risen in popularity as homeowners look for a unique art of building. On the other hand, concrete block, known as Concrete Masonry Units, often make up the structural integrity of many commercial and industrial buildings. CMUs can be painted, ribbed, sandblasted, or even striated to create a distinct decorative look. Intricate stonework on corners, doors, and window jambs often involve using dressed stone. This is known as ashlar masonry. Many times natural stone will be placed to give the illusion of a stone masonry façade over concrete blocks. 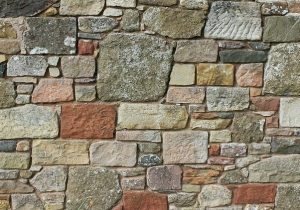 Stonework may be irregular or uniform, depending on the homeowner’s specifications. The differences between natural materials versus those that are manufactured are usually not apparent. Masonry walls offer several important forms of protection against the elements. Besides providing structural durability and strength for homes on coastal regions that are prone to hurricanes and other weather extremities, these walls can provide an added layer of protection during a fire. A “fireman’s cut” or “fire cut” is often set along a beam. This adds to structural integrity and prevents a wall from collapsing during a fire event. Whether building an architectural structure or a home for your family, knowing the key aspects of masonry will help you make the right decision during renovation and construction.